The Moab arches are pretty famous, and it’s no wonder why. Beautiful red and orange sandstone swirls across the scenery around you, forming natural bridges across the desert skyline unlike any you’ve seen before. You’ll bear witness to the sight of gigantic natural boulders balancing delicately atop stone shelves. The Arches National Park houses these treasures in Moab, Utah. You’re welcome to come and see them anytime. Over 2,000 arches have been formed here by the forces of nature. There are quite a few other reasons to visit the park besides seeing the arches. Hiking trails abound across the otherworldly landscape, and sports activities aren’t exactly few and far between. Choose to camp, bike and climb your way across the desert. Read on to discover what makes the Moab National Park unique, and how you can enjoy it to the fullest. 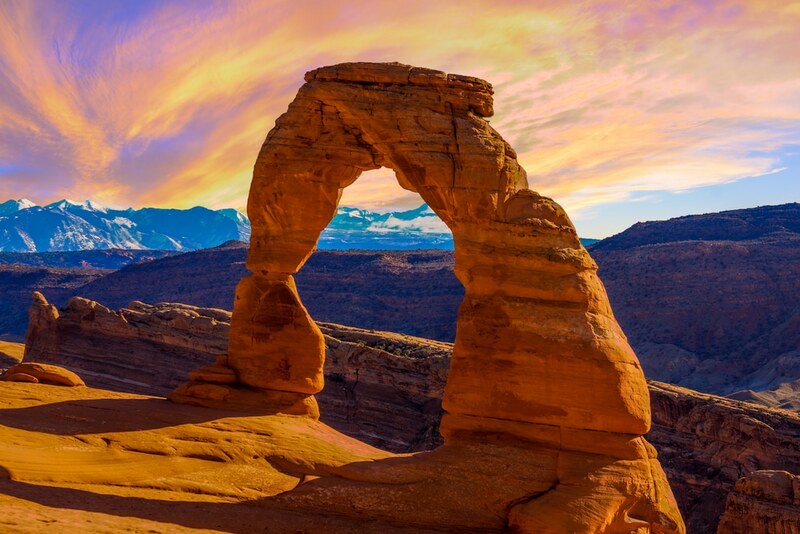 Most people who visit the park have just one thing on their mind: seeing the Utah arches. Arches National Park weather permits for seeing the arches year-round. The weather is typical for a desert climate, with cold nights and hot days. Spring and fall are the most popular times for visiting. When you do visit, make sure to check out everything there is to see. Balanced Rock is just what it sounds like — a boulder perched precariously atop a narrow rock formation below. Standing at 128 feet tall, this rock formation is actually a single towering structure. Take a short hike from a nearby parking lot to see this beauty. You’d better see it soon, because this structure won’t be around forever. Eventually, erosion will cause the tower to collapse. The Windows Section is your platform for viewing some of the most famous arches in the park. Here you’ll find Double Arch, the tallest and second-widest in the entire park. The Windows Section is also home to the North Window and South Window arches. You’ll be able to drive right up to the Windows Section. This part of the park is ideal for those who want to see the vast expanse of arches without spending a vast amount of time in the park. Devil’s Garden is an area of the park perfect for those who want to see a little bit of everything. This expanse is filled with spire formations, gigantic boulders and long arches. You can choose to drive or hike a rugged trail to enjoy the scenic views. Arches National Park has a wealth of awesome activities to enjoy besides seeing the arches. Insider Tip: Pick up an Arches National Park map at the park entrance, or download one online before you delve into your adventure! Hiking in the park is open for everyone, with trails ranging from easy to moderate. You can choose anything from a short 15-minute hike to hikes lasting around 5 hours. Make sure to bring your water bottle. Temperatures can climb, especially in the summer months. Hiking here will afford you the chance to see arches and formations up-close and personal. Check out the park’s Hiking page to view and decide on various trails to enjoy. Rock-climbing is a great way to spend a few days at Arches. The excitement of surmounting these giant boulders is unbeatable, and the views are spectacular. Make sure you read up on safety guidelines before you go. The Rock-climbing page informs you of all the necessary rules and regulations required before undertaking such a journey. Canyoneering in Arches National Park is a heart-stopping experience. Rappel down the walls of steep sandstone to reach the craggy rocks below. Canyoneering requires various permits and some experience, so make sure everything is up-to-date before you go. Arches National Park camping is some of the best in the country. You can settle down for the evening among sandstone outcroppings at Devil’s Garden, enjoying the space around you far into the night. 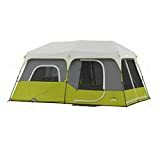 Camping is 25 dollars per campsite per night. Sites can fit two recreational vehicles and up to ten people. Water is provided, but not food. Make sure to stock up before you go. Enjoy flush toilets, picnic tables and outdoor grilling for a real party. There is also an outdoor amphitheater near the campground for all to enjoy. Did you know that Arches National park has one of the darkest skies in the country? Take advantage of unique and spectacular stargazing opportunities on your camping trip. Parks are a cornerstone of American society. Arches National Park national park is no exception. With its array of jaw-dropping cliffs, bridges and natural sandstone sculptures, it’s not a sight to be missed. The park is a place everyone can enjoy, so get out there and get exploring!